Miss Universe 2015 Pia Wurtzbach finally meets her favorite idol, Super Junior's Siwon! 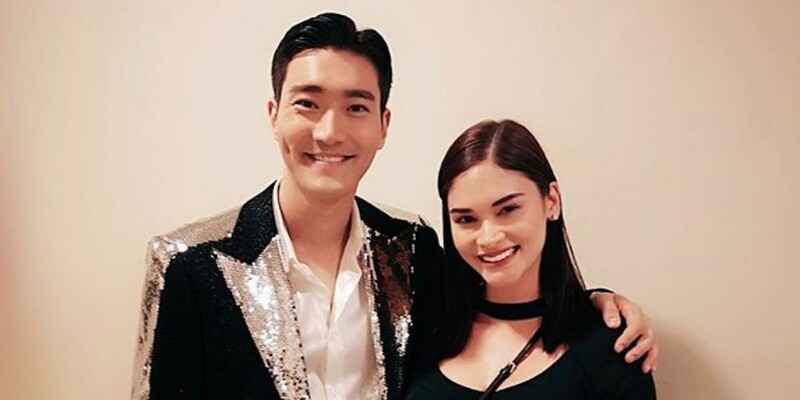 Fan and artist finally meet during 'Super Show 7' in Manila held back on June 30 as Miss Universe 2015�Pia Wurtzbach met up with her favorite idol:�Super Junior's Siwon. Ever since before she became Miss Universe 2015,�Pia Wurtzbach has showed her fan affection for Siwon. Now in 2018, she's fulfilled her dream by meeting up with Siwon while Super Junior visited Manila for 'Super Show 7'.